First off, thanks for visiting this video. 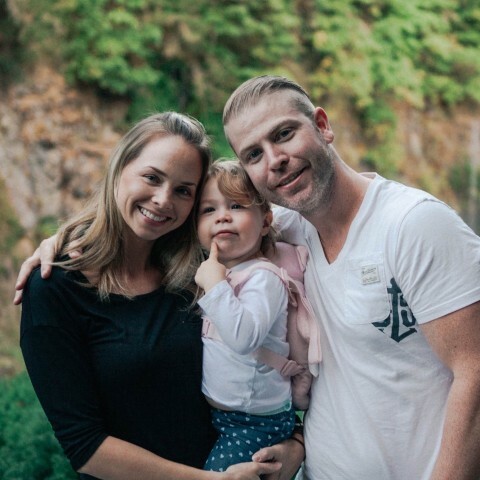 I am Kyle, co-founder of Wealthy Affiliate and if you are on this page, you have likely connected with us through some strange form of destiny. 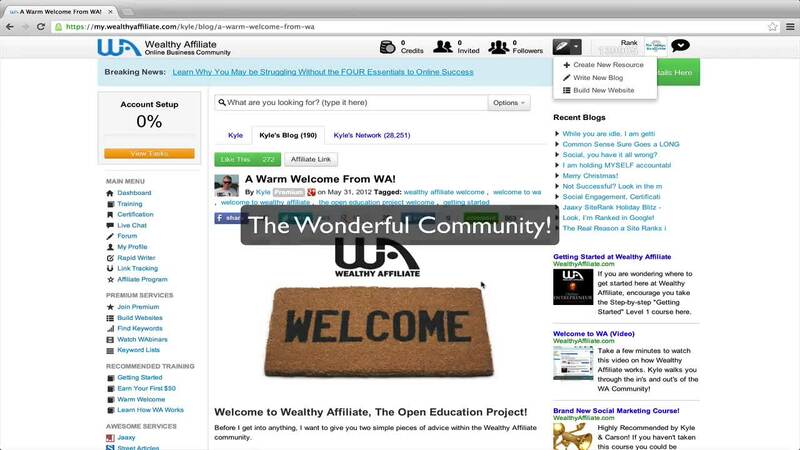 I want to personally invite you to the Wealthy Affiliate community and in this video I will show you how you can access to the top training facility online for learning, creating, and growing an online business. just do a Status update on Facebook that should allow you to share what you are up to and so on. I tried sharing through Facebook but it didn't go through, is there any other way I can do this? Try to shorten your affiliate link with a Google Shortener below and use the new link given to post to FB. You’ll be asked to select specific images. After that, you’ll be able to post your link. You won't have a problem, if you share your website links. Isn't it better to share your website on certain social media sites in order to not be detected as spam as some direct links on certain social media sites might be detected as? It's very hard to happen. You have to have hundreds of shares of the same link at the same time for this to happen. kylie think the light bulb just turned on .these lesions are the real deal right! I tried adding this link to my Pinterest board, but it wouldn't because it said it could lead to spam. Any ideas? Clarification- I want to add the WA Affiliate link to my Moms Get Wealthy Pinterest Board. You cannot add direct affiliate links to your Pinterest board. Add links from your website. I have discovered in WA the teachers/leaders that if I knew about 5 years ago I would have Saved Thousands not to mention how helpful all my fellow members are eager to help; what a Fantastic University Community, Thanks!!! Very good, and easy to understand. Do you think it's time to start revising the "FREE" claim of joining to WA? We all know that 7 countries are excluded to sign up for free and as I come from one of those countries, I basically have online friends coming from those areas too. I always get feedback from them saying"HEY! It's$47!" I can't help but feel embarrassed and feels like I am losing my real friends' trust because of this FREE claim. Just a fine print on the FREE* claim would probably help? Just my thought. Lots of people stay FREE forever. You don't have to become a Premium Member. If a country is not available, for those in other countries, choosing a nearby location works. I think they literally cannot even create a starter membership because of being located in that specific country. The Homepage appears different. It says something like "Free starter accounts are not available in your country. But we would love to have you as a Premium member." If it states Premium, there is FREE. This is unheard of...what country? Let's see what Kyle says. http://crashtest.siterubix.com/21-2 Here's the screenshot from my friend from one of the excluded countries. I uploaded it in my siterubix crashtest site so the image is more readable. Hi there. I posted it in my crashtest site instead of attaching the image. I should have attached the image instead but i wanted to show it big and readable. Send us a good link. If they are seeing that, they are arriving on someone's website...someone, obviously, doesn't know what he/she is doing. They are on wealthyaffiliate.com thru my affiliate link and they are seeing this "NOT FREE" notice. You can ignore my siterubix as it obviously confuses you. :) I will attach the image of the screenshot my friend sent me when she tried to sign up. I'm not confused. it took too many messages for you to mention the website was yours...not a big deal. Thanks. I remember his issue. Sounds logical, not to advertise free,if it is not free, however I think I am in one of those countries too, cannot join swagbucks, but i did join for free, I think the cost is in upgrading the account. What I like about the site is that so far it has been no nonsense and it does say it takes work and time. But if it is causing you hassle from some people perhaps it needs review? but i in no way felt pressured to upgrade and pay, I could have kept going on the free acount it was a choice to pay? Are you saying there is not the option of free access in some countries? yup there is no free option for them. they are immediately taken to the screen as attached above. did you see the screenshot? I kind of agree that FREE and you can't really do much of anything is kind of a turn off at first and I feel that a lot people won't go any further. That was my thought but then I went ahead and koined because I have been around long enough to pick up on certain Clues that told me Wealthy Affiliate is very Positive for all to be involved with!!! My take on "free" is the fact that when you join some Universities or Schools, you have to pay a fee to enroll, here at Wealthy Affiliate, you don't pay anything to enroll. But you will have to pay membership fees if you plan to stay and get the training offered by Wealthy Affiliate. I would be careful about stating "free training". The training is FREE. Most people stay FREE and make great earnings. The Premium Membership is only for those serious enough to continue their own businesses. There's nothing else out there showing you HOW to build your business FREE. Upsgirl, just for me to understand. If I had remained as a Starter Member, what would my membership fee would have been in this case? Thanks. Okay; thanks, I didn't understand it that way. I was thinking that I would pay the reduced fee the first month and then the $47 for additional months. So when will a new member pay the $19? Yes, that is correct. You are right. You asked if you stayed a starter member, what would your membership fee be? FREE. I tried to send an email, but it wouldn't send. Not sure what I am doing wrong?? Where did you send the email? To who? Ok thank you so much for your help I will try that. Thanks so much for answering so quickly. I have a Facebook business page. I want to share content to that page and not my timeline page which I have. What do I do? Go back to your Course and the lesson that covers that. Better to teach you to fish than to give you a fish sandwich, you understand? Ok,well I got back on fb and I found my post in the public section,but can't figure out how to post it to my page,any suggestions? Did you use your affiliate link? I haven't had any issues with WA sites, links, or contents being unsafe. Maybe it was something else that attacked. yes i did.Maybe it was,I'm doing a scan now,how ever I am unable to sign into my account at this time. Paypal is what I used and I didn't have problems. Best of health and success to you. What if you do not have a Paypal account? You can also use a credit card. That is what I did. Paypal is free. I would create one if you can. There are certain countries where Paypal doesn't do business. Hi guys, can I pay my first month thru Western UnioN? Hi. You need to have PayPal or a credit card to make payment to WA. Sorry, they do not take Western Union payments. Your account is currently unable to use Facebook for Websites. For more information, please log in to facebook. and follow the instructions you see there. Dang, I have never heard of this before. What was the instructions they gave after you logged back in? See on the top of the page? Solda: I will assume that you have your "social media" buttons located and fully functioning on your website. I know that Kyle does and that they work everytime. So if you hit the Face Book Share Button on Kyle's piece it should immediately go to your FAce Book page. You don't want to do what again that will shut down your facebook account? Remember, to protect your computer from malware, only download and run programs from sources you trust. It passed to me too, trying to shate a post. I don't know why. Hi Tammy. You can stay on as a free member for as long as you want to, even forever. :) I would suggest working on your website as you can and if this is truly something you want to do, then work towards going premium when you are able. This is excellent advice, Michelle04. Thanks. That's ok for now. Just get the training and stay active. That is what I truly like about this community. Great people! Always honest and helpful. When I click to share, it doesn't give the option to comment. It goes direct to confirm. Why is this? Hi jmutisy5. What is it that you want to share? I want to share a post on facebook, nut when I click "like" it foes not give the option to comment. Iy asks me to confirm. A "like" is different than a "share". A "like" is usually not accompanied with a comment. The "share" option should allow comments. Is there a button to click that says, "share"? Great video...but I decided to watch it before sharing and found that everything has changed appearance since it was made! Do you think it's still good to share on facebook? HI, the videos and lessons are updated regularly and things may look a little different however the main essence of the training would still be the same, although the layout might be different. Facebook is widely used as are Twitter, Google+ and other social media. I liked it and commented, but don't see it on my page, did it work? If you go back to it you should be able to see if you liked the page. Your comment should be down below under your name. Not sure what you mean by seeing it on your page. I don't think liking and commenting puts anything on your pages. Another thing, alot of Facebook pages said the content wasn't safe. I ended up being able to post it in some places, but was curious. Is it unsafe? It sounds like you are running into an issue Facebook has with WA. See this article for more information. Is Facebook Taking A Different Stance About Wealthy Affiliates? Thanks for the link! I will definitely read this! Hi everybody, this is exiting! I think that in the manner they organize this training we cannot avoid being successful!! But we have to take action and use what we learn! ! I agree with upsgirl that it is difficult to predict when we start earning money. But knowing that WA has been around for 10 years give ME confidence that what they teach are for real. So let's start our journey to online success! Just starting out wondering how long might it take before I see some success in my efforts to monitize? great video and is now on my FB page forever.Thanks again. This is great and I posted this on my facebook page. Awesome Kyle. When I try to "Like" this to my Facebook, Facebook told me I have Malware on my computer and needed to remove it to be able to login to my account? This is going to be in my toolbox. an awesome tip. I will surely use it. Right took me several attempts but finally Managed to share the link to facebook onwards and upwards. Very nice! And neat! And smart! These guys have their heads screwed on! That was nice and easy, great video. absolutely perfect for inviting friends! Very nice video. Well done. Well, I think this video needs to be a little updated. Isn´t the Dashboard changed quite a bit ? Don´t get me wrong... is just my humble opinion. That's possible. Do you need help? @upsgirl... Oh no, but maybe for the newcomers to this community they might see some differences from the video to the actual Dashboard, that´s why I mention that it might need to be updated, but it´s OK for me. On the other hand, what are the chances to get captions on the videos for non-english speakers? It would be just perfect for my future affiliates in my country and the huge Latin/Hispanic community.... please think about it. Good. I am very happy to participate and be part of the rich affiliate. People always send me reply and thank you for me to follow. This is very good, Thank you everyone. Hi very good explanatory video for beginner. Will it be a little too long for someone who are yet to know WA? No it should not be. Someone interested is going to be very interested in the video. At least that is what I think and felt. It definitely is. Keep moving on and your will enjoy every bit of your time here. Have a fabulous weekend! You're so welcome. Enjoy a fabulous week! I just created my first youtube video promoting the Wealthy Affiliate. Check it out! share it with your friends please!! So, I can just copy and paste my affiliate link above, into the comments area on FB and my friends will be able to click it and see this video and sign up if they so choose to? Hi AleishaM. Yes. That is correct. If Facebook gives you a warning, don't worry about the warning. You may be asked to select some images of tigers, wristwatches, waterfalls, etc. Just select the images and then proceed with the post. When I post that link, I do not get any warning messages. Users can go to that page, and then from that page, they can click directly on my affiliate link. Yeah you could do that. Or you could beautify the affiliate link with the help of Pretty Link plugin, and then place it on your FB page. Ok great thank you very much. I haven't figured out how to put my affiliate link on my website yet though. Any code you copy from that page will automatically have your Affiliate ID embedded in it. I'm not sure what "Pretty Link Plugin" is. I'm new to all this so I'm still learning. I'm still trying to learn the difference between plugin and widgets. Hi AleishaM. Take it one step at a time. With the wealth of information, it can be overwhelming. What lesson are you currently on? I'm on Course 2, Lesson 7 of the Getting started and the Course 1, Lesson 1 of the Bootcamp. Thank you very much. I'm making my notes so I can reference these links later on. At the moment I am trying to figure out where in my website the banners are to be put. I wanted to put it on the Home page but the Home page for this Theme seems to be only for the Posts I make. Hey, just saw this...what's going on? I am here all day! Hi timhephner. What email software/program are you using? Thanks, I'm putting this on Facebook tonight. Hi MarkDavies. What email program are you using? does the (co) need to come before http:// cohttp://www.wealthyaffiliate.com?a_aid=dd685522 ? No. The 'co' should NOT be in there anywhere. So... May I Post/Share this link anywhere? When someone clicks and, joins WA a earned commission is possible? Yes, you can share your link on your site, through email, wherever, and if someone goes through it to get to WA, you get the commission. WA has the greatest blog posts and videos anywhere. Everyone of them are so thorough and easy to follow and understand. As always, I am enjoying myself and looking forward to the future here at WA. Thanks. i'm struggling to watch videos for 3 days no sound. Hi Ntoe1979. When you go to other websites, are you able to hear sound from videos? Hi Ntoe1979, I see you've gotten good advice already...I'd first check to see if you can hear sound from videos on other websites. If not, maybe your speakers aren't turned up on your computer or the sound is turned down or off on the video players themselves for some reason...check the little sound icon, which is second to the bottom left side and see where it's set at. I had the same problem quite a while back and couldn't figure out for the life of me why I couldn't hear anything...the volume on my computer was turned way down to 0. Or, If it's a desktop, it could be a loose speaker wire too. You can go to Best Buy have your computer check up for free. May The Universe bless you! You will go through the starter training first and then you will have access, actually you have access now. You should however start with the lesson one course one in the certification courses. Once you've completed the course one course two is only available to premium members. As a premium member you have access to everything on the site. If you were just a starter member your access would be limited. the affiliate button isn't working! :/ just keeps loading.. Thanks for your help! When this happens to me, I simply refresh it. Your internet connection seems to be slow. Hi brennanz. Are you still having trouble with this? I've had this problem and I did the same thing betcha suggested. Once I reloaded/refreshed the page in my browser, the problem was solved. Hi everyone. I'm still new and in the process of learning here. You can send the direct link in an email. You don't need to have a site for that. You will get a $1 credit when they complete their profile set-up. There's no problem with this. Make sure that you send the link attached to you with your own ID number. If you are in doubt, you will see the tab on each page that says "Affiliate." Simply click on it. That is the link you will share. Or click the icon with an airplane on the upper right-hand and look for your affiliate link. Every number at the end of the link should be the same for you. Hope this helps. You're always welcome. Feel free to get in touch anytime. Another of my endless questions..what 3 places do most of you use to share? I can't move on from this step until I've shared in 3 places. Share, your website? Or wealthy affiliate. You can use a number of platforms. Try facebook, twitter, or even your gmail account. Hi julielachtay. What lesson are you on? Craigslist is good (you can put it under business opportunities in the jobs section), Meetups, in the discussion section of any groups you are part of that relate, and any social network like twitter, facebook, etc. You would just add your affiliate link into your comments about WA..
You can also use a banner as your photo for sites like Pinterest, Instagram, etc., and put your affiliate link in the description. Google+, Pinterest, Facebook, Delicious, Twitter, StumbleUpon, and Reddit. As someone else who is new to all of this and not on any social media sites, i really appreciate your simple and clear suggestions! Thank you so much...hope someday to assist you! All kinds of confused! I don't know what a screenshot is, how to take one, how I would share this and if it's possible to Tweet this. Hmm...I only understand about half of those words. I'm so not technical. What's a 'snipping tool'? I watched the video again and tried clicking on the affiliate link on the top which seemed to have worked but it would be useful to Tweet. Hello julielachtay. If you are using Windows on your computer, try this. There should be a print screen button on your keyboard (might say, 'PrtScn'). When you press that button it will copy whatever your screen is currently displaying. Let me know if you are on Windows or Mac, or something else. Then I can give you the specific steps on how to take a screenshot. Thank you electrobot for being patient and taking the time to share knowledge that may seem basic to those that have more technical experience! i am in the same boat as julielachtay technically but i'm finding that reading answers to others questions is providing valuable help!! You can't embed the videos on your site. What you can do is create an image and link the image to the page that plays the video. This does a couple things for you. It gets people to view the video and it brings them inside WA where they can sign up. If you use the link at the top of this page, your affiliate link will be attached and you will get credit when they sign up. If you have Windows 7, there is a tool called the snippets found in accessories that you can use to capture a screen image. If you are using another operating system. I recommend Monosnap which is a cloud-based image capture software. It's free. An awesome introductory overview!! But I noticed that the video screen layout (navigation) is not the same current screen layout when you log in? Wouldn't that have a negative impact to invitees? Hi marogamj. What is the exact layout difference? Perhaps, you could post a screenshot here showing the differences. Thanks. Does 2012 convey the thought..Out of date or well established? Great promotional video. But as others stated, I thing better to be updated to match or at least, to reflect WA header. If no, let's remember at the beginning the dynamism of WA. Is it just me or is this video a bit outdated theme-wise? Video itself is informative but WA website seems to be displayed under different theme. I find it crucial to point it out as it is one of the recommended shares in WA Affiliate Bootcamp - Starting Your Foundation. If it comes to inviting new members to WA I believe everything should be pertinent otherwise our client would somehow get the wrong signal & run amok. The video is a bit outdated - but the fact that there is so much training material here, together with the fact that the site is undergoing constant improvement makes it impossible to keep one in sync with the other. Don't let that slow your promotional efforts though. WA is miles ahead of it's nearest competitor when it comes to bang for the buck! Well, Themes don't portray the WA training. The WA content does. Seeing the Themes didn't sway my decision either way. Yes, the videos could be updated; however, the content is still the same. Awesome! Please share with me how to link WA to my website and start sharing this with others? That is covered in the training. You will find it at the appropriate time in your learning. So just cut and paste the links on fb will also include my affiliate link? Scroll to the top of the page where you will find a white box with a chain link on it (Affiliate Link) since you are logged in to WA, this will show your specific affiliate link to this page. Will it work if I just copy the link and paste it on Facebook ? And share it? Affiliate link yeah? You should probably use a link shortener like goo.gl to 'hide' that it's an affiliate link. awesome lesson I am sharing this on my social media accounts. i hit the Facebook like button at the top. I don't think shared it. How do i actually share it to my account. I think it just add the like, but it didn't share. I copy and paste the links. That works! Ok i thought so. Thanks. Where can I find transcripts of these videos? Thanks. Sorry, there are no transcripts of the videos. When adding an affiliate link to Facebook or Twitter, do I need to shorten the link (i.e. through Bitly, etc.)? I do not see the point of shortening links. When somebody clikcs on it, it is shown long as it is and with your affiliate id there. You may test and you will realize it. So why to shorten, it is not visible before clicking anyhow. It is pointless, waste of time. See my question about it and comments: Does pretty link really hide your affilate data? That's good news. I was briefly involved with a couple of other work at home businesses (I won't name them) and it was recommended to shorten links with Bitly. Well, Twitter has limited characters so ONLY if you need to shorten your link...other then that, jvranjes has the same thoughts I do. ok. Thanks for your input. The reason to shorten links is primarily so that you don't lose affiliate commissions. People get lost in following links. They will remember the first part or primary website name. So in retrospect, you can lose money because they will simply type the main name in the address bar and not the one with your affiliate I.D. I delete my browsing history frequently and any subsequent cookies are wiped. This means that if I don't have or didn't save the link, and wanted to revisit a site from an affiliate link. I would have to enter the main site name and it would not remember me for the affiliate who posted the original ad I followed. The focus is on getting the referral credits. If the link is too long, or has the original business name. Then that is what gets remembered and not your affiliate information. The choice is yours. There are advantages to using them. Some programs use the ip addresses and not just the links to help with getting commissions to the right people. But not all programs do this. Hope this helps in letting you know why shortening services are used. I have to agree....i delete history, browsing and cookies every few days. With Facebook and Twitter, you don't have to shorten the links. However, with Twitter, a shortened ad may give you more space for your Tweet. this seems like its going to be a great career for me ,now that im retired. Everyone have a great and successful day !! . Thank you for your greeting and it seem that you are quite optimistic and that is a great thing! And to you as well. Holler if you need any help. I have posted a link to Facebook using the link when I clicked on the aeroplane. Had problems with Facebook- had to do security check and then went through but, even though it appeared as a post, you could not open any of the links in the post. Said it was unsafe source. How frustrating. What do I do?????? Facebook has had an anti-spam / anti-affiliate filter for a few years now. Most of the time when you post an affiliate link, the security check will pop up. Sometimes it will post fine, and then when others click the link, the security pop-up will show again. Most of the time the user clicking the link can click the "go-to site" anyway button and they will be directed to the link. But I have noticed over the years that some are just blocked completely. Unfortunately, there is no real way to get past it. You can however post a link to your site with a review or whatever, then have the link entwined into it. Hope this helps a little bit. Yes. FB is very strict when it comes to affiliate linking. Just put a link to a blog post which has an affiliate link in it. The same goes for many of the social media sites to include Google+ and Pinterest. i had posted 3 blogs..one did appeared. the other 2 missing in action. Can I share the video. I try before but it does appear on my FB. Why? In this video Kyle tells the viewer to "go to www.wealthyaffiliate.com". If they do that, how do I, as a WA affiliate get credit for the person signing up? Is my WA affiliate link somehow connected? You put your referral link in. You can find that by going to the black icon on the top of WA that has the airplane on it. Your link will be at the top. Just copy and paste. Or for every page on WA there is an affiliate link. Right above this video you will see a white tab that says affiliate. Click it and you can refer people back to this page by simply copying and pasting. Are you saying that I have to prompt the viewer to click on my link and ignore Kyle's instructions to "go to wealthyaffiliate.com"? I mean, does the viewer have to make a conscience effort to go through my link? You say, "put your referral link in." I figured as such, but where and how would I do that? No what you do is just add in your post. "Wealthy Affiliate" and link those words to your affiliate link. Your actual affiliate link is found by going to the black airplane. Yes, your AFFILIATE ID is located on EVERY PAGE here at WA. See the white link in the center? That has your Affiliate ID embedded and it is on EVERY PAGE. All you have to do is share! Paste it wherever you want to share it...Google+, Facebook, Pinterest, etc. You are going to right click to copy. Figure out where you want the link to go. Okay, let's start over. What do you want to do? Please be specific! While in Edit, go to PLUGINS. Type SOCIAL in the search bar. Select one of the plugins you like...any one! When you're done, you can click on any of the 3 icons and share whatever Page or Post you want. I THINK I just sent you a mesage, but I don't see it here, so, if you get two, now you'll know why! Thanks, for answering me! But, AGAIN! 3rd GRADE LEVEL! Where am I going to find this "Edit" you're talking about? I KNOW LESS THAN NOTHING, about any of this! And that applies to opperating COMPUTERS, TOO! When you are in your Dashboard, that's where you will EDIT. Begin there. Where you get into working on your website. I am here or you can PM me. To do that, click on my Profile Image. See PRIVATE MESSAGE? Click there. Yes, click the WHITE RESET. You will not need a password again! Sorry, where are you working? WP? In your Dashboard, you can Edit Posts and Blogs. Click one and go to All Posts or All Blogs. You will see the list. Hover over one and you'll see Edit. I will pretend to not have seen this! LOL! Well, at least your SMILING! Are you curious about who this CRAZY man is? NO? Well here's your answer, ANYWAY! Ohoh...maybe I should have went to bed! Thanks and I know who you are! You weren't supposed to remind me...lol! Once again, you show your patience and your willingness to help others succeed by giving of yourself and sharing your knowledge. Kudos to you! HAHA! How are things today? Thank you! Doing just fine. Raining outside. Rain tonight here and most likely where you are. Yes, only 97 right now and cloudy. We need all the rain we could get. Does WA have an App for people on the Go and is moving around a lot? Thanks Robert, I didn't know that! So anyone that clicks on the link to this video I will automatically get credit for? If you share your Affiliate Link, white tab, yes! Every page that you open here has your own affiliate link with your ID. You get the credit if the video is opened through your link. Make sure that is the link you attach or send out. Sent this out to 3 of my friends. Thanks for this easy method of sending out the link. Awesome tutorial! Joining WA doesn't get any easier than that. Thanks Kyle! I am having the same problem. Since 5/22 I have sent several e-mails and as of today I have not received any response. Hope you have success soon. Yes i figured it out. Once you copy it. You highlite were you want it to go. Then go up to the paper clip . when it opens you past your link in it.